The blessing is in the breaking! I recently heard this quote from bishop T.D. Jakes and it really struck me. Having hit a breaking point a few months ago I didn’t quite see the blessing at the time and am still keenly aware of the feeling of despair, fear and hopelessness that threatened to swallow me as I stand in a very different space today. As parents we can all relate to times when we survived a point of breaking in our lives; a broken heart, a broken promise, a broken dream, broken trust, etc. and most of us would not be where we are without having pulled through the tough times. We have learned that we are stronger than we believed ourselves to be and this as a result of being faced with tough challenges that caught us off-guard. How do we teach our children to find the blessing in the breaking? I know that for me to teach my children to find the blessings in the breaking I have to challenge my own beliefs of my children’s intrinsic ability to survive and flourish in the eye of the storm. What beliefs are you holding about your child’s ability to cope with adversity? How do you feel when your child comes home broken on the inside from an incident that happened in the school yard? What is the conversation you have with yourself when your child is distraught over a conflict with a good friend? What is moving inside of you when you observe the hurt and disappointment in your children due to a misunderstanding between siblings? 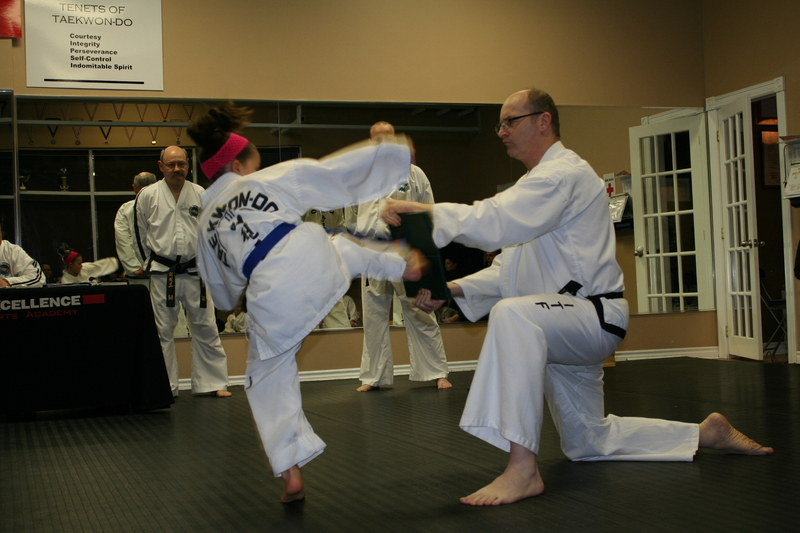 Rather than brace against the inevitable breaks that will cross our paths as we live our lives, as a family that practices Tae Kwon Do, we are learning to push through the barriers we face and stay open to the blessings of obstacles overcome. So remember parents, the moments to share are the one’s when we were down and out and rose again. The toughest and ugliest situations we faced were the one’s that transformed us from the inside out, those very situations that we can now pull from as a testament of what we are capable of overcoming. So naturally our kids can do the same!